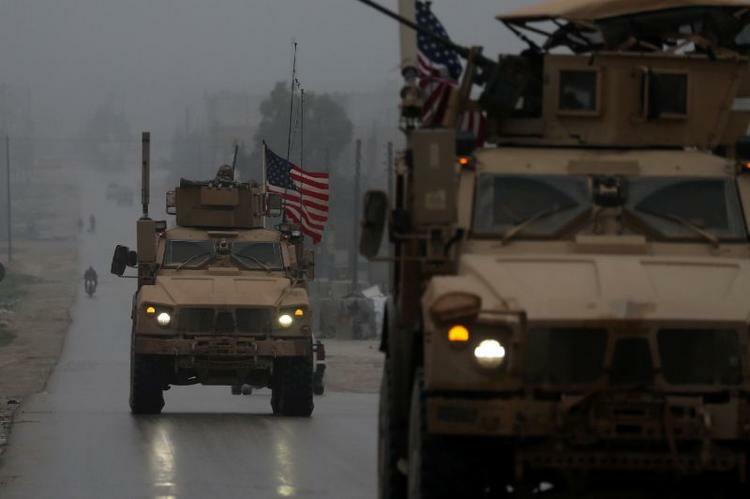 Turkey welcomed the planned withdrawal of some 2,000 US troops from Syria but the future of US-backed Kurdish militia forces there labelled terrorists by Ankara has poisoned US-Turkish ties (AFP Photo/Delil SOULEIMAN). Damascus meanwhile denounced Erdogan’s “language of occupation” in talking about a security zone. “The statements made today by the Turkish president reaffirm that this regime… does not deal (with anyone) except in the language of occupation and aggression,” state news agency SANA quoted a source at the Syrian foreign ministry as saying. The Turkish army has launched two major operations in Syria dubbed “Euphrates Shield” in 2016 and “Olive Branch” in 2018 to combat Syrian Kurdish fighters as well as Islamic State jihadists. 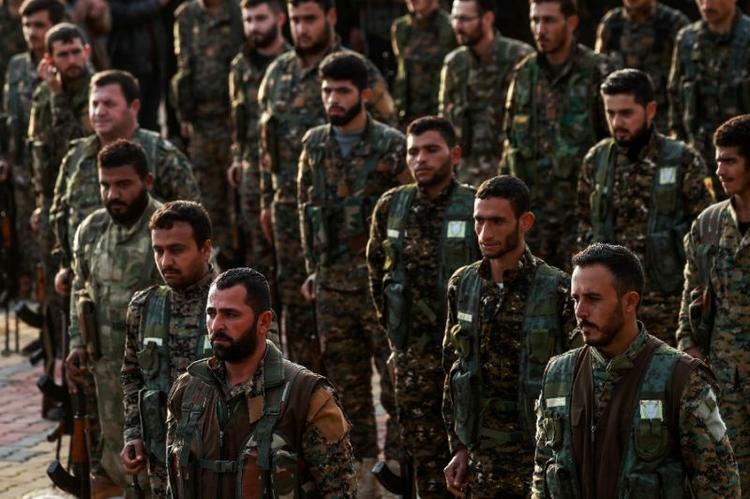 But the last offensive sought to roll back gains by Syrian Kurdish fighters who have governed parts of northern Syria since 2012. “Comparing Turkey’s presence in Syria with that of any other state or power is an insult to both history and our civilisation,” Erdogan said. Turkey is home to over three million Syrian refugees. 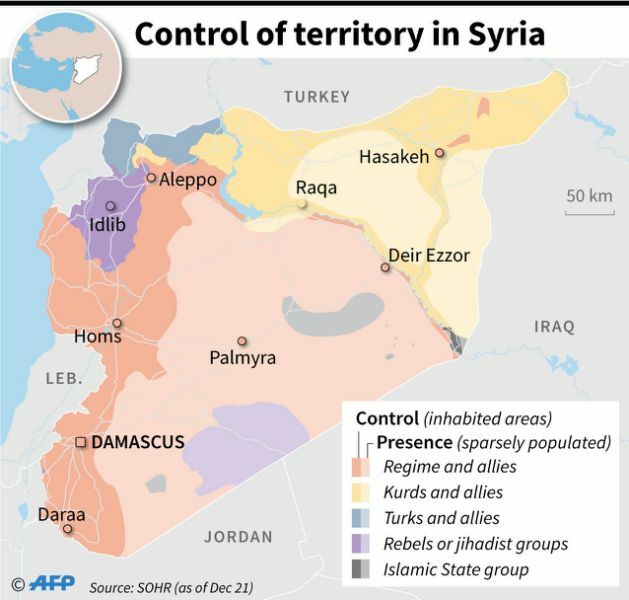 Since early in the conflict, Ankara has called for a safe area backed up by a no-fly zone on its 900 kilometre (560 mile) border with Syria to protect civilians from air and ground attacks. The plan was mooted to Trump’s predecessor Barack Obama, so that a safe structure could be provided for Syrian refugees on the condition that Washington provides logistics and air support, while Ankara supplies ground security, Erdogan said. “Unfortunately Obama failed to take the necessary steps,” he said, speaking to journalists after his parliamentary address. But after the discussion with Trump, Erdogan said that plan could be resurrected and the 20-mile “security zone” could be extended, if needed. “We could create such a safe zone if coalition forces especially America provide logistical and financial support,” Erdogan said. The Turkish leader however dismissed any presence of the Kurdish People’s Protection Units (YPG) militia in that zone. US support for the YPG during the Syria conflict has been a major source of friction between Ankara and Washington. The US regards the YPG as an effective ground force in the fight against IS jihadists. The PKK, which has carried out a decades-long insurgency against Turkish forces, is blacklisted by Turkey as well as by the United States. Erdogan on Tuesday said Trump’s tweet “saddened me and my friends”, but added that the two leaders reached an agreement “of historic importance” during Monday’s phone call. The Turkish president said he would visit Russia on January 23 for a meeting with President Vladimir Putin over the US troop pullout plan. Featured Photo: “US support for the YPG during the Syria conflict has been a major source of friction between the NATO allies. The US regards the YPG as an effective ground force in the fight against IS jihadists (AFP Photo/Delil SOULEIMAN). Fulya Ozerkan Is AFP correspondent in Istanbul. Her reporting has also appeared at Business Insider, Chicago Tribune, Yahoo, France 24, Mail & Guardian, The Times South Africa, and Middle East Eye . Follow her at @FulyaOzerkan.